Sometimes, good things come in small packages just like the all new LA CREMERIA Mini. I was at their initial regular 75ml LA CREMERIA stick launch, so if you haven't read about it, do read it here (Nestle La Cremeria Ice Cream Launch @ GSC Pavilion KL) Coated with 100% imported milk chocolate, LA CREMERIA Mini comes in three decadent flavours – LA CREMERIA Mini Almond Vanilla, LA CREMERIA Mini Chocolate and LA CREMERIA® Mini Delightfully Pecan. The same care and detail invested into the crafting the LA CREMERIA sticks are also evident in the Mini versions. 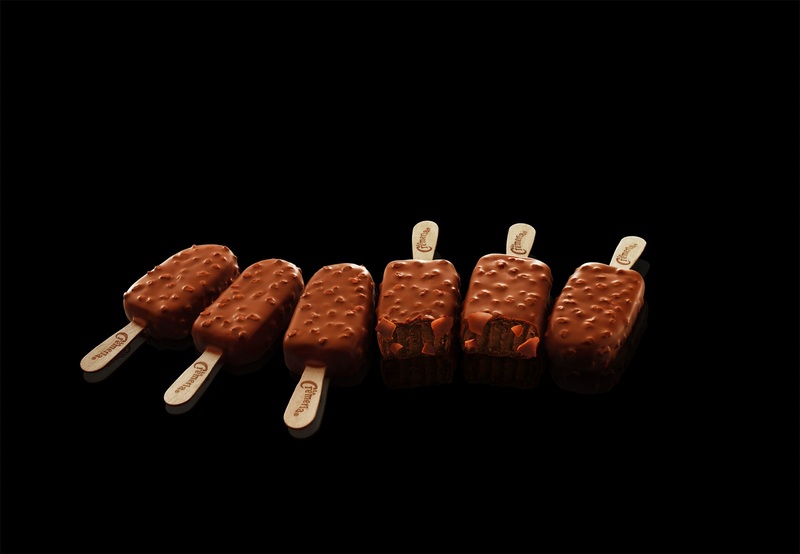 Each variant is a result of precision and passion in ensuring every ingredient is brought out in its best possible form. 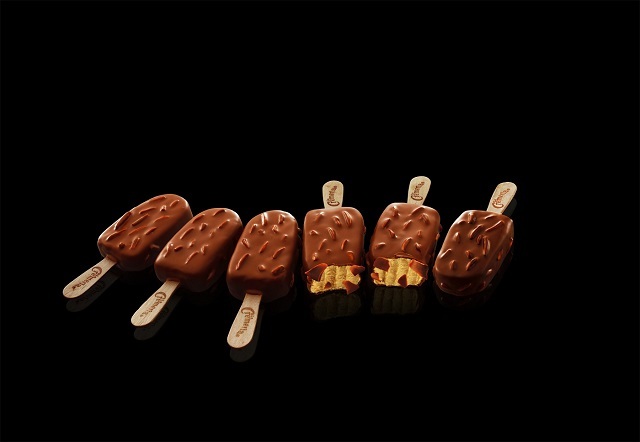 “We believe that people should make time to indulge in life’s little pleasures and with the new LA CREMERIA Mini, we can now experience the perfect bite-sized indulgence any time of the day. It’s small enough to fit into anyone’s busy schedule yet big enough to give you that rich pause amidst the daily hustle and bustle,” said Yit Woon Lai, Business Executive Manager of Nestlé Ice Cream. “It is also convenient for those who prefer to have LA CREMERIA sticks ready in their freezer to be enjoyed whenever they want. The beauty of this Mini version is that consumers can either enjoy all six themselves or share them with family and friends. Why settle for one when you can always indulge in more creamy goodness?” explained Yit. 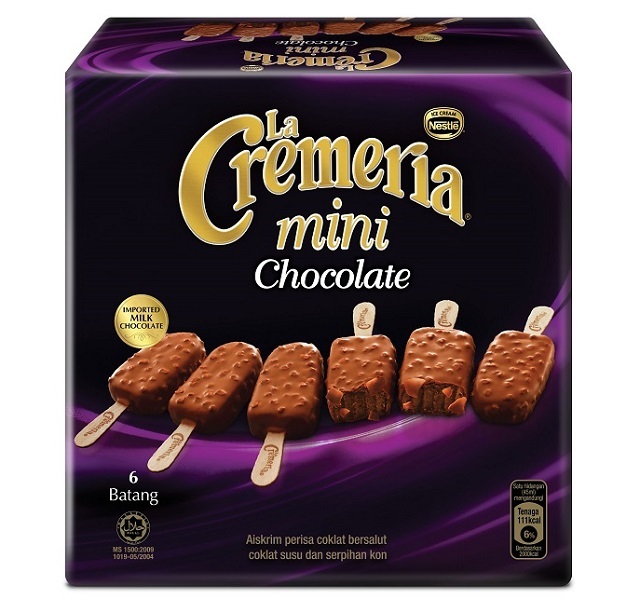 Apart from the Mini version, the regular 75ml LA CREMERIA Stick is now also available in multipack of 3 at a recommended retail price of RM 10.05. There will also be a series of in-store roadshows in selected hypermarkets and supermarkets in Peninsular Malaysia from end August onwards where consumers can sample LA CREMERIA Mini and win attractive prizes. Not sure if they have these here - seen their regular ice cream in tubs a lot, never tried any.